No one really knows who or why the Megalithic Temples of Malta were built. The definite fact is that they were built three or four millenia BC. 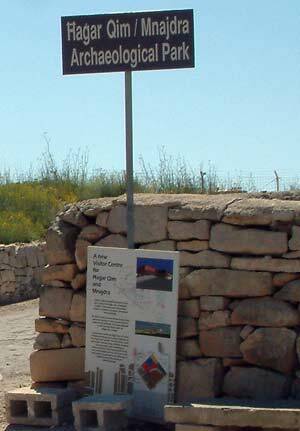 The Hagar Qim and Mnajdra Temples are the oldest man-made structures in the world. They are found on the south west coast of Malta, overlooking the sea. There is an entrance fee to view them and when we visited, a visitor centre was being built. The temples are both protected by security fencing and under a roof to protect them from erosion and further damage. The countryside in the area is beautiful in the wild rocky way that Malta does so well. Pretty rocky cove and caves of Ghar Lapsi. There are giant or Ggantija Temples of amazing dimensions, in Xaghra on the island of Gozo, enclosed within a boundary wall. Entrance fee applies.